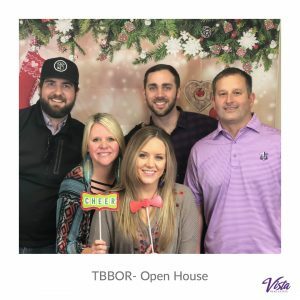 Who doesn’t look an awesome Open House? 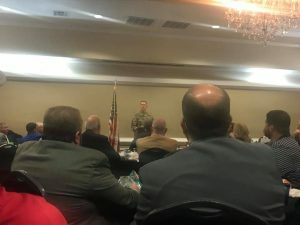 Proud to be apart of TBBOR! Stuff the Bus provided by State Farm here on West Adams!! 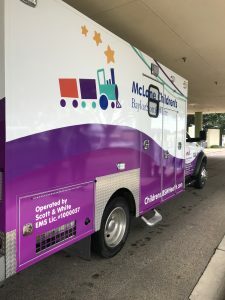 Vista Real Estate got to celebrate McLane Children’s Hospital NEW LOGO!! 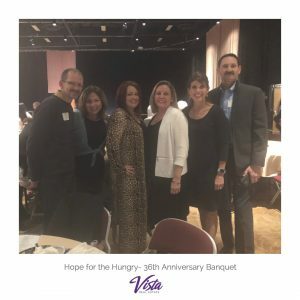 We were so blessed we got the chance to be apart of the Hope for the Hungry 36th Anniversary Banquet!! 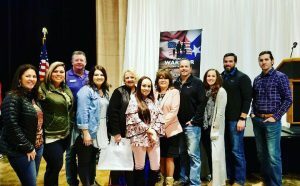 Always an awesome event! 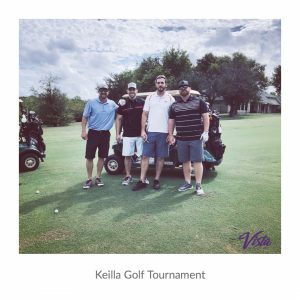 Keila Homebuilders always put on the best golf tournament! Thanks for the invite, guys! FHAAR Golf Tournament! Our boys love some golf! A little friendly competition. 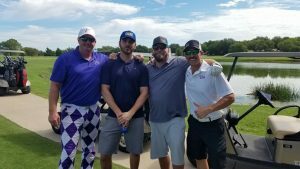 Corky Nelson Memorial Golf Tournament hosted by UMHB Alumni Football Association!! These boys had a great time participating!! 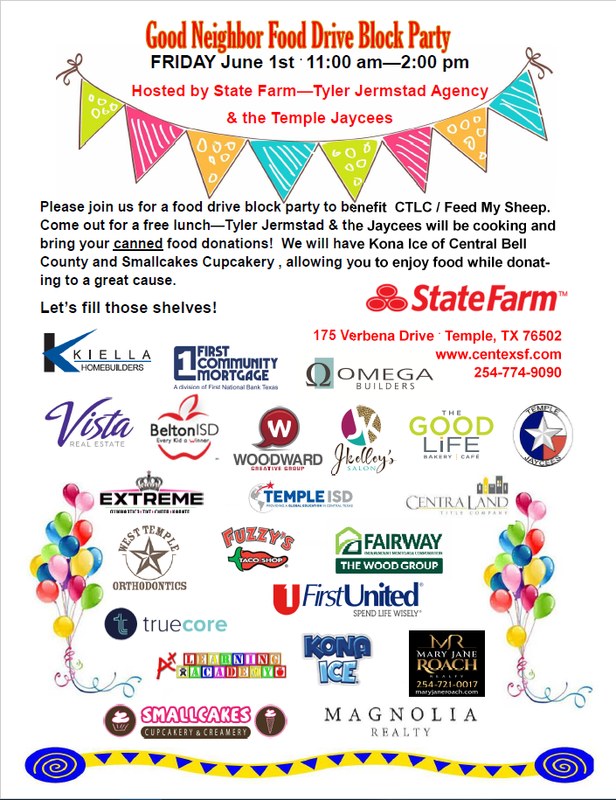 Join us for our Good Neighbor Food Drive Block Party on Friday June 1st, 11am – 2pm! 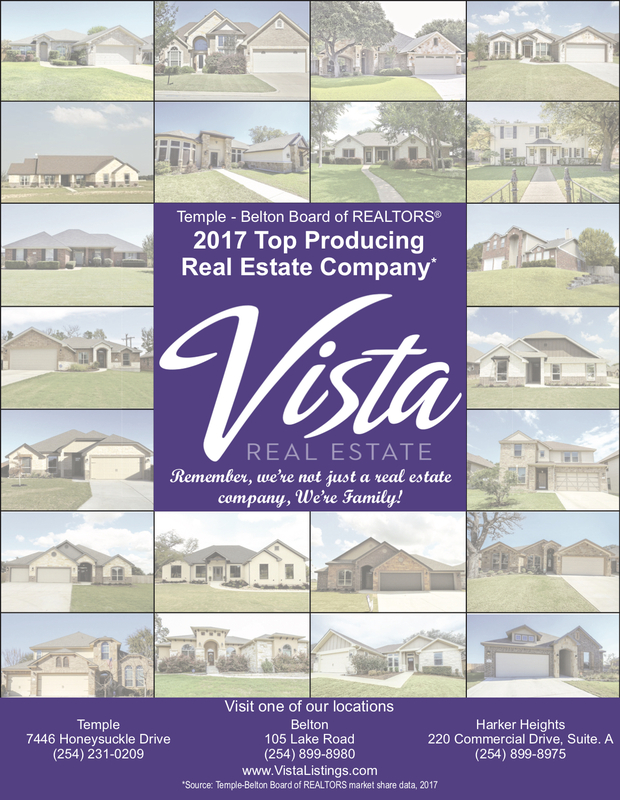 Did you know that our Vista Real Estate Family was named the 2017 Top Producing Real Estate Company for the Temple-Belton Board of REALTORS®, market share data, 2017?!?!?!? 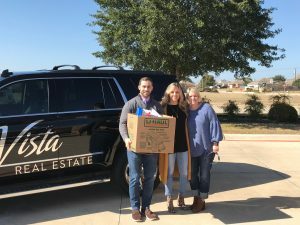 We are so honored and look forward to helping out our many clients for 2018! 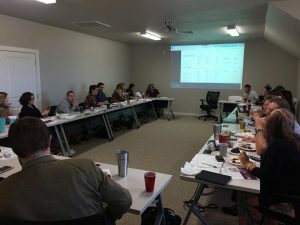 Contact us today to speak with one of our real estate EXPERTS! 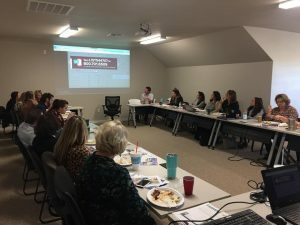 Our Vista office has a full house today for our agent lunch & learn with Fairway Mortgage – The Wood Group! 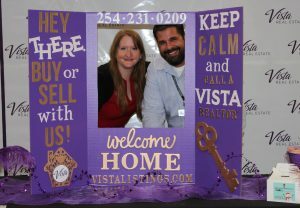 Our Vista Real Estate REALTOR ‘s, are well educated and always eager to learn more! Want to do some Christmas Shopping for children in need? Do something great with those Black Friday deals! 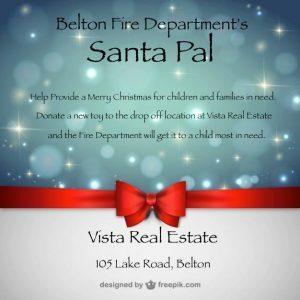 You can donate a new unwrapped toy in support of the Belton Fire Department’s Santa Pal program at the Vista Belton office on Lake rd. Come by, say Hello & brighten a childs Christmas. 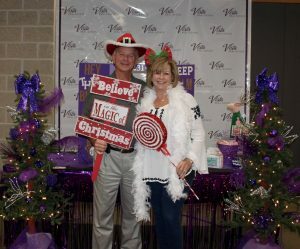 Thank you to everyone that stopped by our Vista Real Estate Photo Booth last night at the Belton & Temlple Chamber’s, Holiday Around Town Event! We had so much fun! 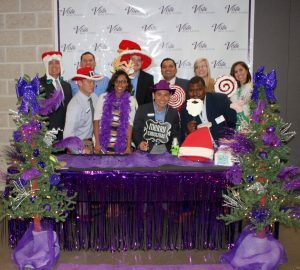 To see the full album…visit our Facebook page! 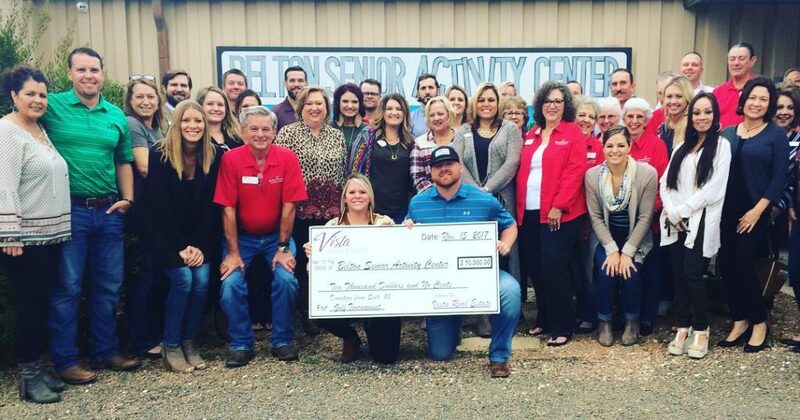 Our check presentation to the Belton Senior Activity Center this morning. 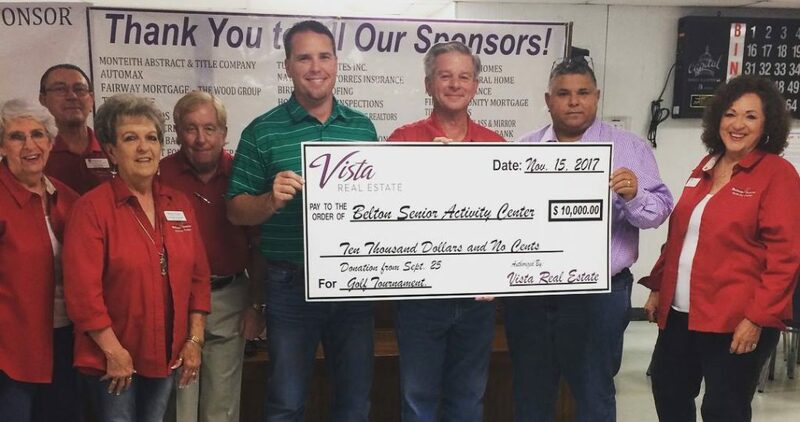 Thank you to everyone that sponsored, donated, or participated in our 3rd Annual Vista Golf Tournament in October. Without all of you, we wouldn’t have been able to reach our goal’s for the Senior Center. 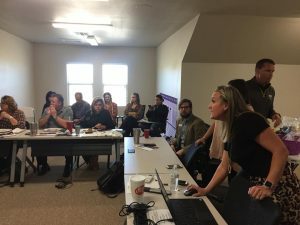 Thank you all so much for your continued partnerships and support! 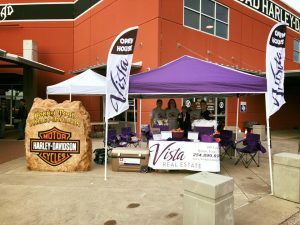 Our Vista Family was able to be the main sponsor for the 2nd Annual Camp Dreamcatchers event at the Horny Toad Harley-Davidson in Temple, benefiting kids with cancer and blood disorders. 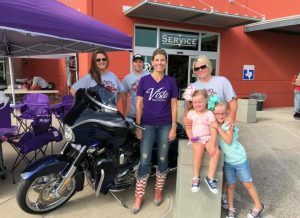 Food, music, goodies, motorcycles & all for a great cause!